I made a similar strips quilt from scraps about a year ago. In the previous version, I concentrated on value and color progression. 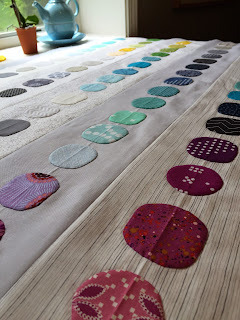 This time around, I opted for a random arrangement of the same width strips in a limited color palette. You can see the effect is very different, even while the construction is exactly the same. I was inspired by the colors in this collage. 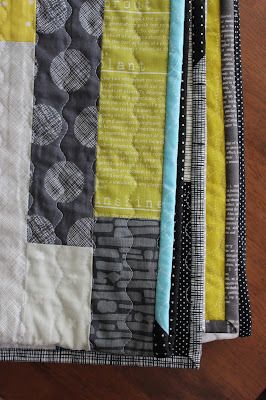 I used teal, aqua, gray, white, and chartreuse fabrics from my 2 1/2 inch strips bin of scraps. 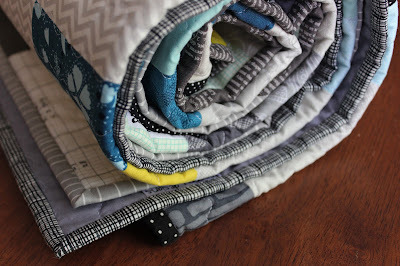 Storing my scraps in this way makes this type of quilt quick and easy to put together. Even the binding is made from leftover scraps of binding. I quilted it simply with the serpentine stitch on my Bernina. The backing is a gray solid I had in my stash, divided with two leftover strips from the top. 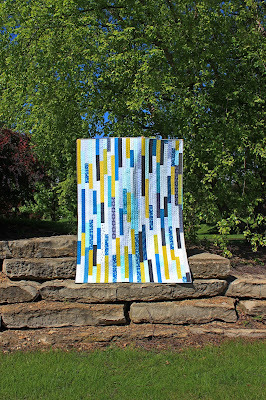 I am donating this quilt to Project Linus, which gives quilts and blankets to children in hospitals or similar situations. It has been on my heart to make a quilt suitable for an older boy or teen, as I hear this is the type of quilt most seldom donated. At 56 x 75 this quilt should be just right. I also want to encourage other quilters to make quilts to donate. 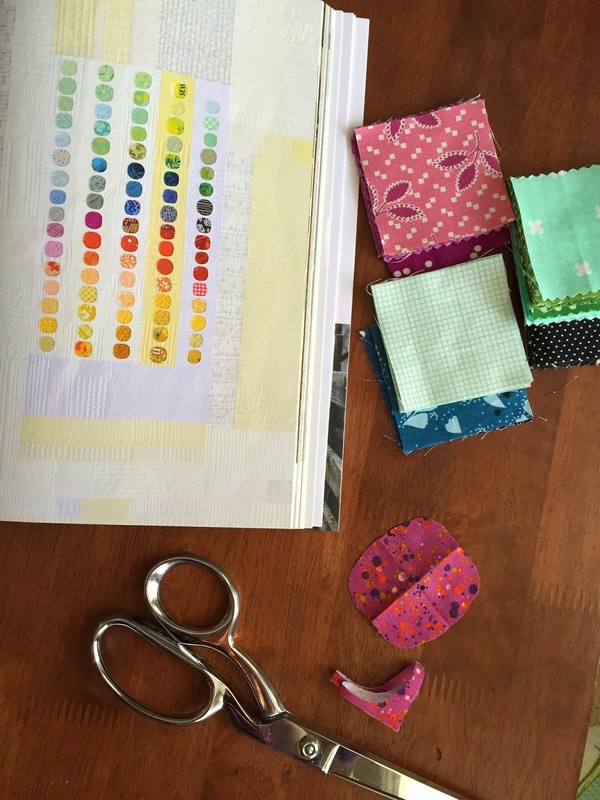 As I hope this quilt proves, the design doesn't need to be complicated, the quilting ornate, or the fabrics a recent purchase for the quilt to be beautiful. 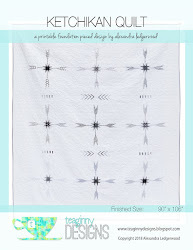 The only thing I think is important is that the quilt be something you would be delighted to receive yourself. I hope this quilt makes someone feel loved. 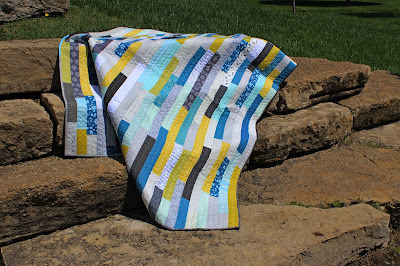 I've been smitten with the Aerial Grove Quilt from Savor Each Stitch by Carolyn Friedlander since I first saw it in person when she spoke to my guild. The quilt is just beautiful. 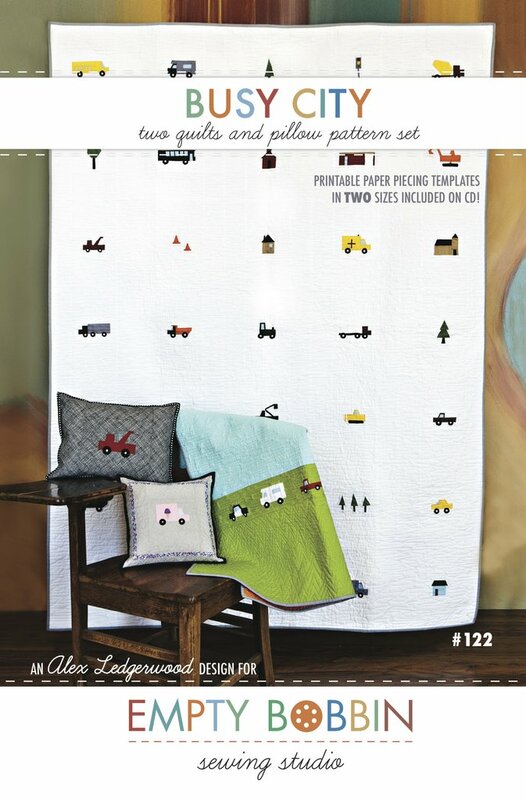 So, when Pat Sloan asked me what quilt I most wanted to make in 2015, I had an easy answer. There's nothing like committing on live radio for motivation. I knew I loved the quilt, but I didn't expect to love making the quilt as much as I have. I don't make quilts from a pattern very often because I don't enjoy prescriptive sewing as much as improv. This project is the perfect marriage of the two. 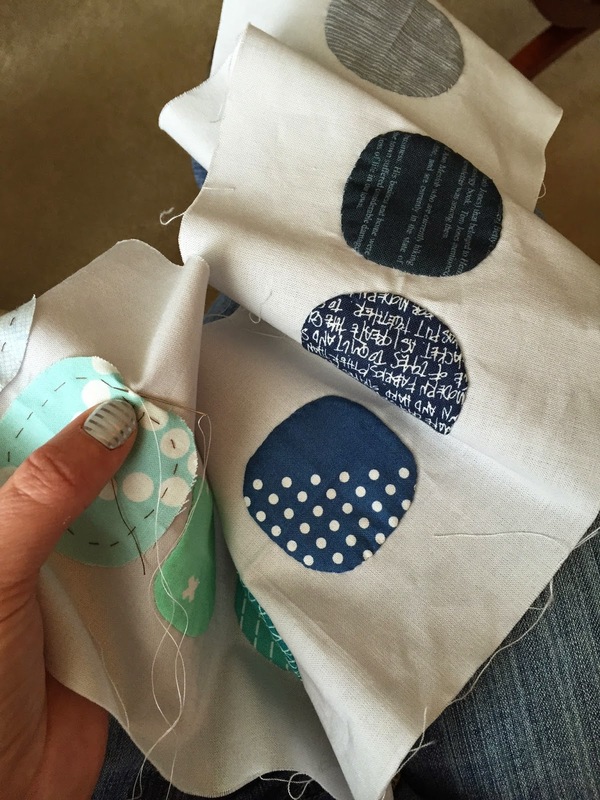 Each "squircle" is cut freehand, from a folded piece of fabric, making each shape unique. I love that the applique shapes are improvised rather than cut from a template. Because the shapes are irregular, there is no need to stress about making them identical as you sew them to the background strips using a needle turn applique method. The shapes are organic, coming from the inspiration of a grove of trees, as seen from above in an airplane. Creating columns of shapes encourages color and value play. You can create color gradations or rhythms with the value of the fabrics you choose. 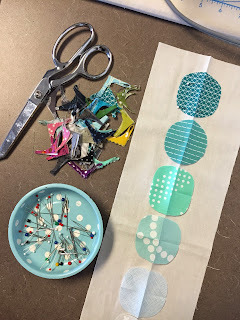 The more fabrics, the more play; scraps welcome. There's a lot of room for adding your own voice to the quilt. Search the hashtag #aerialgrovequilt to see lots of version on Instagram (Not on Instagram? Get on! 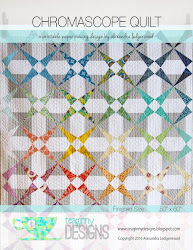 There is a treasure trove of quilting inspiration to be found.). The project is also great because it is very portable. I worked on the applique panels during my sons' practices, and it was finished inside of a month! I was surprised how quickly it came together. I'm working on the improv background this week. I chose to make the quilt throw size, but the book has options for several sizes, from table runner to queen size. I'm a huge fan of Carolyn Friedlander's patterns and aesthetic. I think it takes a unique mind and sense of style to create applique that modern, fresh, and compatible with an improv approach. Frankly, she's a genius. 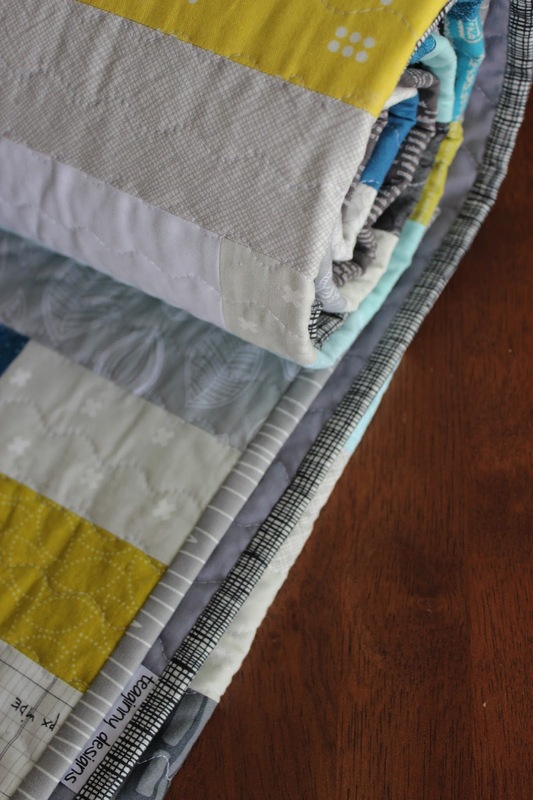 I've loved the process of this quilt every step of the way.